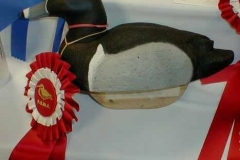 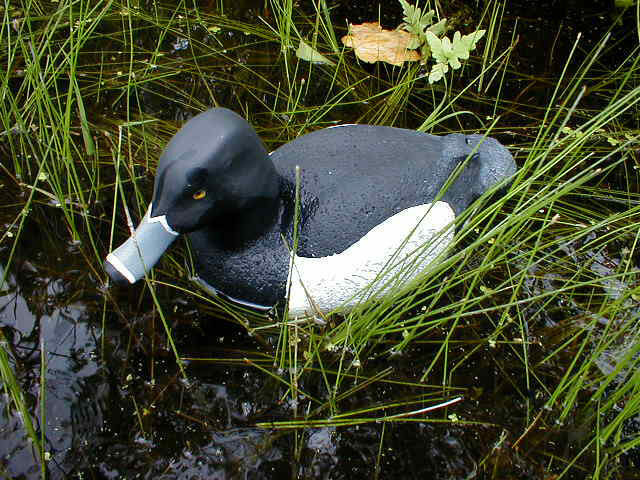 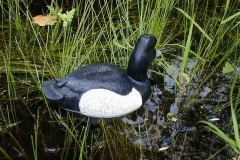 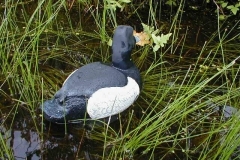 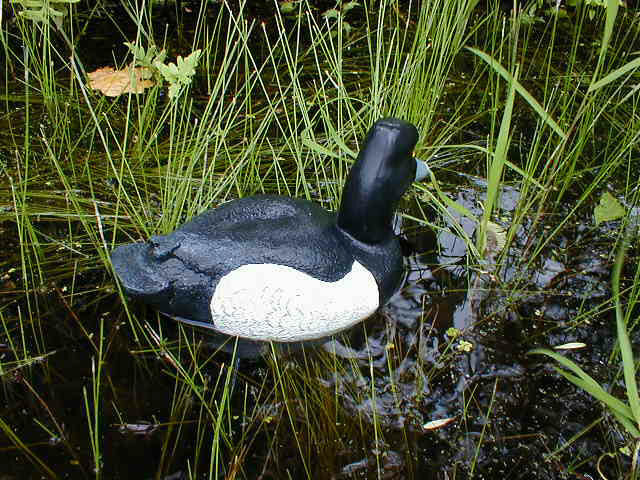 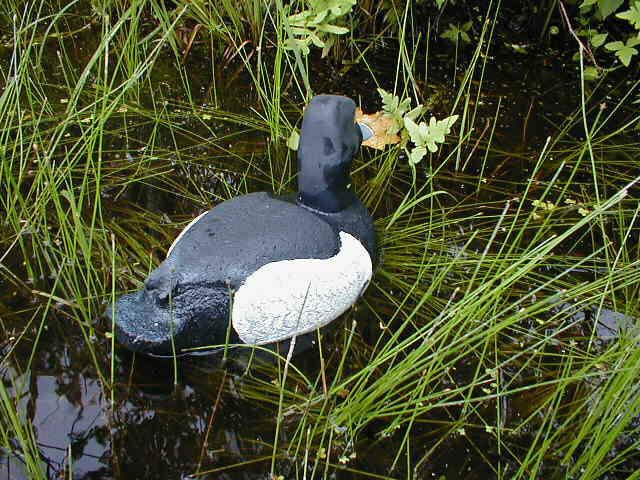 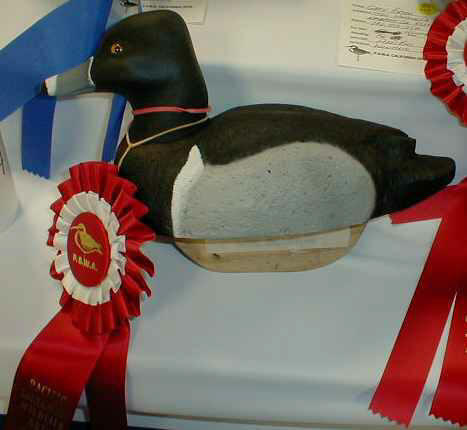 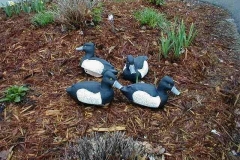 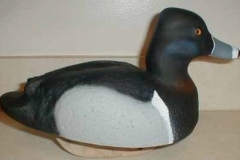 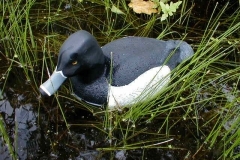 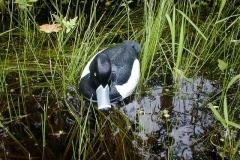 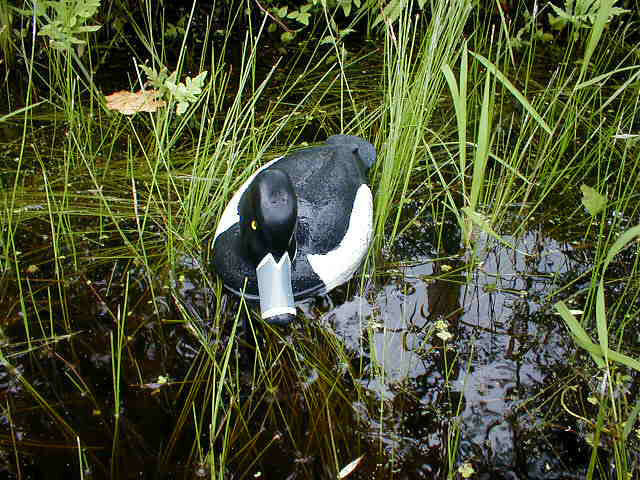 Welcome to the Ringneck Decoy Page of jacducks.com. 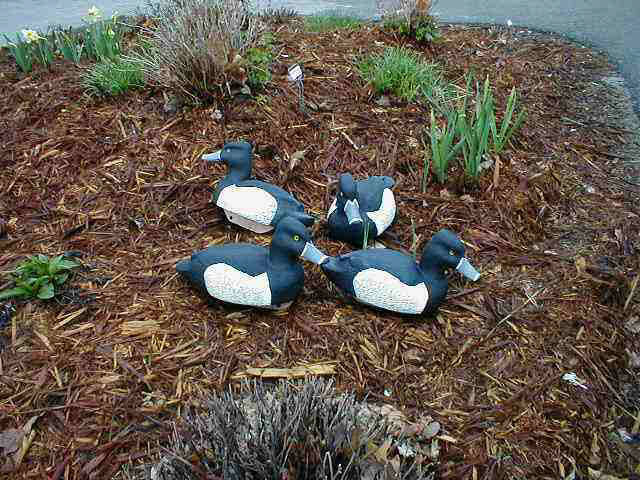 Obviously these are self righting. 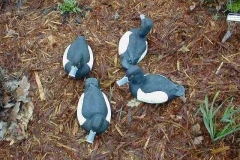 I had just dunked them and they are still wet. 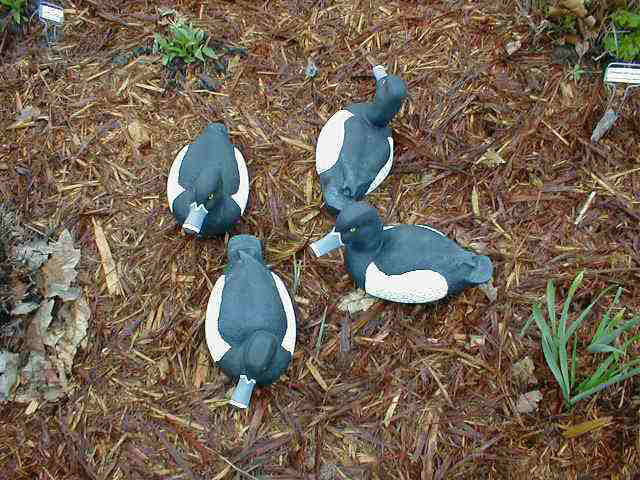 I use Ringnecks in my puddle spread often. 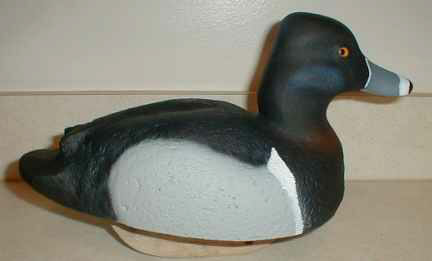 I like the light color of the drakes and use mostly all drakes.